to ride in the 60x135 indoor arena or an 80x120 outdoor arena adjacent to 3 acre grass jump course for cross country work. In addition, the property connects to the scenic Amwell Valley trail system. 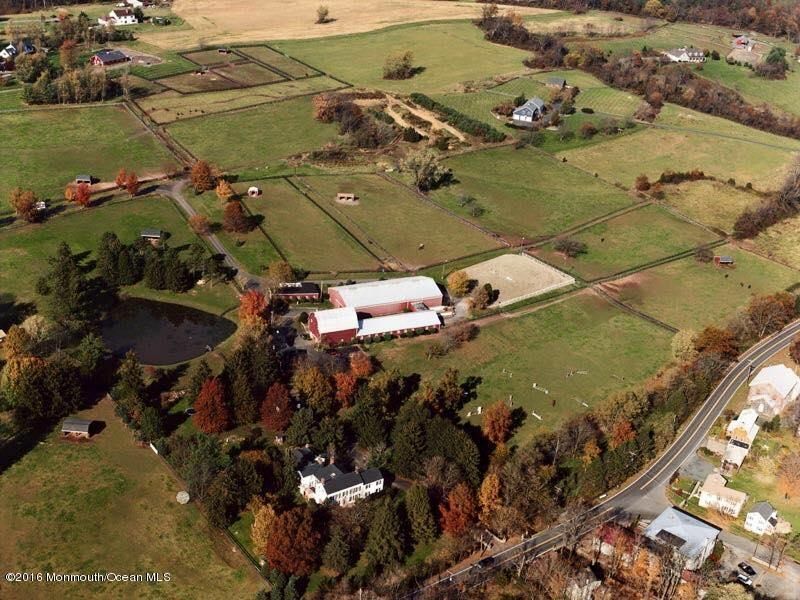 For the competing equestrian, LOCATION LOCATION LOCATION! 40 minutes to Bucks County Horse Park or the Horse Park of New Jersey and just over 2 hours to HITS Saugerties showgrounds in NY. Don't overlook the 6 INCOME PRODUCING APARTMENTS ON PROPERTY! The rental income is proven and substantial. Minutes to the quaint town of Hopewell or bustling Flemington and under 30 minutes to downtown prestigious Princeton. This turn key property is ready for your next business venture or your personal oasis. Don't miss your chance to own this spectacular estate! Listed by Stacy Butewicz of Keller Williams Realty Monmouth/Ocean.